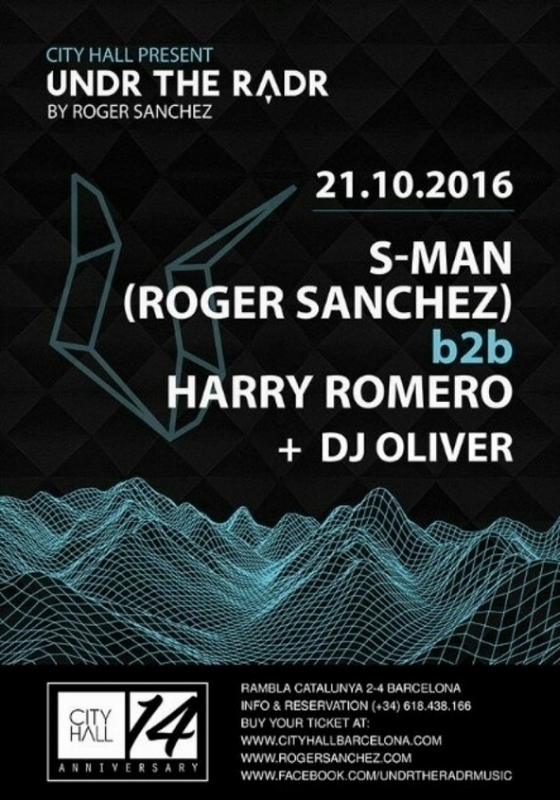 Ahead of his forthcoming release on Undr the Radr, DJ Oliver hooks up with his old buddy and US House music legend Roger Sanchez alongside fellow DJ and beat maker Harry Romero as part of the City Hall's 14th anniversary celebrations. DJ Oliver and Roger Sanchez have previously collaborated on big dancefloor tracks under the moniker The Transatlatins, with 'Mysteriosa' in 2004 and again in 2009 with 'I Can't Live Without Music'. Harry Romero also has a whole slew of stand out house and techno records under his belt, with releases on Sublimilal Records, Toolroom, Circus, Ovum, Suara, Tronic, Maya records and Defected. With a solid line up, this promises to be a night of pure upfront house music.